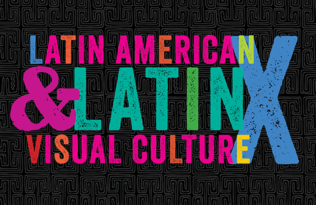 As scholars gather in Barcelona for the International Congress of the Latin American Studies Association, we are pleased to be introducing a new journal, Latin American and Latinx Visual Culture, which will publish its first issue in January 2019. We asked Editor-in-Chief Charlene Villaseñor Black, who is currently accepting submissions for the inaugural volume, to preview the journal for #LASA2018 / #LASACongress attendees. 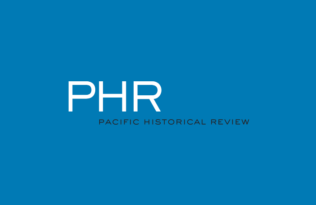 UC Press’s Latin American and Latinx Visual Culture is the first peer-reviewed academic journal dedicated to visual and material cultures in Mexico, Central America, South America, the Caribbean, and those in diaspora. The moment is historic, a time for celebration, and I am delighted to be the founding Editor-in-Chief working with Associate Editor Emily Engel and Book Reviews Editor Aleca Le Blanc. For the first time, scholars working in these areas have a scholarly venue for the latest research in art history, design, material culture, architecture, film and media, performance art, museum studies, popular culture, fashion, as well as public art and activism. Our geographical scope and chronological span are wide-ranging and encompassing. We consider scholarship from the ancient Americas to the contemporary moment. With the recent spectacular growth in research and exhibitions on Latin American and Latinx art, the time has come for such a journal. Our cover design captures the journal’s fresh approach. A repeating black and grey design, based on a Panamanian mola textile created by the Kuna people, forms the background. Against that, bold and vibrant letters spell out the title, their paint-rolled-texture calling up activist or street art. The prominence of the word “LATINX,” and the use of the “X” instead of “o” or “a/o” or “@,” proclaims inclusiveness and questions the gender binary. The decision to include Latinx art was carefully considered and passionately fought for. It’s not that Latin American and Latinx art are the same—it’s that putting them into conversation can be a powerful way to break down nationalist categories in favor of hemispheric conversations. ¡P’adelante! 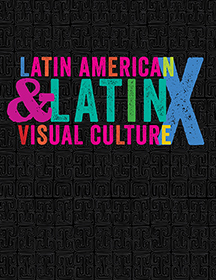 Latin American and Latinx Visual Culture is accepting submissions for its inaugural volume. Please review the journal’s Author Guidelines before submitting.Submissions and editorial inquiries should be directed to the editorial staff at LALVCsubmissions@ucpress.edu. Charlene Villaseñor Black is Professor of Art History and Chicana/o Studies at the University of California, Los Angeles, and the founding Editor-in-Chief of Latin American and Latinx Visual Culture. 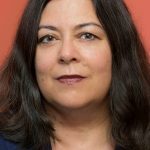 She is Associate Director of UCLA’s Chicano Studies Research Center and the editor of Aztlán: A Journal of Chicano Studies. In 2016 she was awarded UCLA’s Gold Shield Faculty Prize for Academic Excellence. She recently edited Tradition and Transformation: Chicana/o Art from the 1970s to the 1990s. Her widely reviewed 2006 book, Creating the Cult of St. Joseph: Art and Gender in the Spanish Empire, was awarded the College Art Association Millard Meiss subvention. She has held grants from the Fulbright, Mellon, Borchard, and Woodrow Wilson Foundations, the NEH, the ACLS, and the Getty.